Tyson Macaulay is a veteran of the information security industry with 24 years of experience, spanning most industry verticals and critical infrastructures. In his most recent role as Chief Technology Officer (CTO) – Cyber for BAE Systems Applied Intelligence, Tyson lead a global organization developing high-assurance end-to-end security designs, as well as pre-sales engineering and consulting services in North America. Other recent positions include CTO Telecommunications Security at Intel and Chief Security Strategist at Fortinet. These roles all involved international business strategy, corporate development (M&A), technical leadership, media and speaking events. Prior to these roles, Tyson was Security Liaison Officer at Bell Canada from 2005 to 2012. 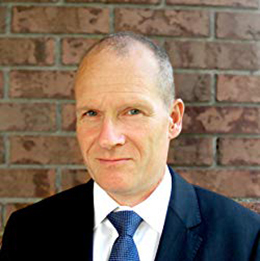 From 2001 to 2005 he was Director of Risk Management for the U.S. defence contractor Electronic Warfare Associates (EWA) and founded General Network Services an Ottawa-based security firm in 1996. He began his career as an Internet Consultant in 1993. Tyson has been a security researcher and lecturer since the beginning of his career with a personal syllabus of four books, dozens of periodical publications and international standards contributions, and two registered patents in security. Tyson continues to support the development of engineering and security standards through the International Standards Organization (ISO), the International Telecommunications Union (ITU) and Professional Engineers of Ontario (PEO). Specialties: Enterprise Risk Management, Technical Risk Management, Security Architecture, Security Audit and Compliance, Program development and Governance, International Standards development, Internet of Things (IoT), Industrial Control Systems, Telecom-grade security design, 4G and 5G wireless security.